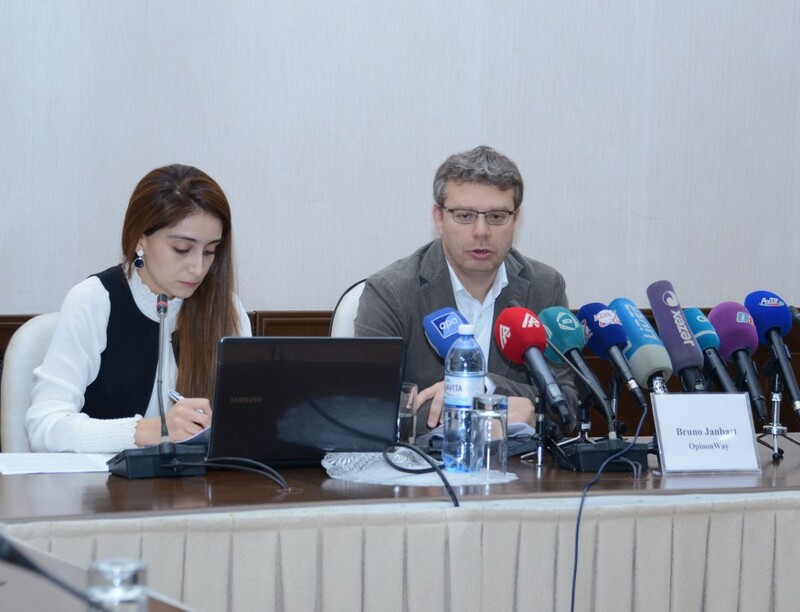 French Opinion Way and Independent Counseling and Support Center for Civil Society have announced the results of a survey conducted to assess the socio-political and socio-economic situation in Azerbaijan ahead of the April 11 presidential election. The level of public interest in the presidential election campaign in Azerbaijan is quite high, the survey said. The special representative of the OpinionWay Bruno Jeanbart said that the survey involved 1,200 respondents from various districts of Azerbaijan. “The survey shows that President Ilham Aliyev is enjoying the overwhelming support of Azerbaijanis. Currently 83.4% of the voters say that he will be their choice on election day,” said Jeanbart. Of those responding to the question “How do you assess the current economic situation in the country?”, 45.9 per cent said the situation has changed for the better and improved compared to previous years, while 23.4 per cent said the situation remain unchanged and 11.7 per cent said it changed for the worse. According to the survey, 68.9 per cent of respondents are satisfied with the activity of the current political system. The poll also revealed that 81.4 per cent of respondents express their high appreciation towards President Ilham Aliyev’s presidential activity. 78.2 per cent of the respondents recognized that they are highly interested in the forthcoming presidential elections and that more than 80.5 per cent of the respondents, when asked if they would participate in the upcoming presidential election, answered positively, while 12.7 per cent negatively and other 6.8 per cent were still undecided.